Red beets, feta cheese, balsamic vinegar and herbs de provence. That cannot turn into anything else but success! I decided to oven roast everything keeping it simple. 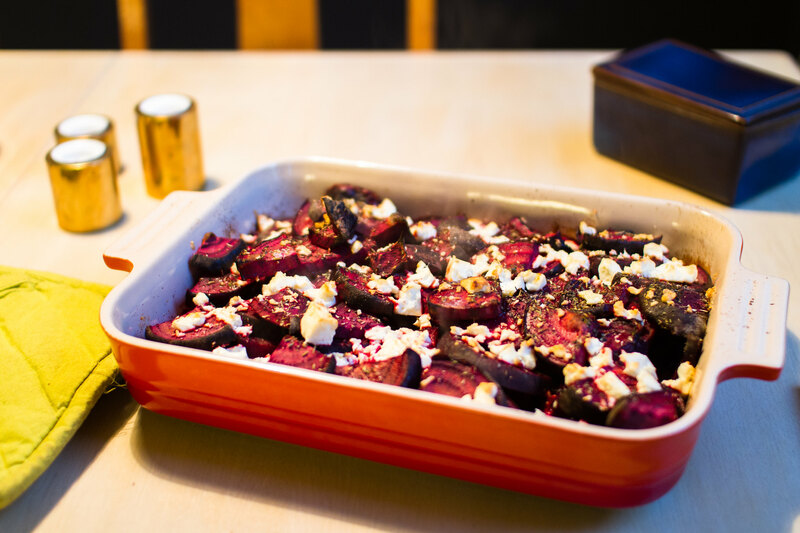 Red beets with feta cheese. 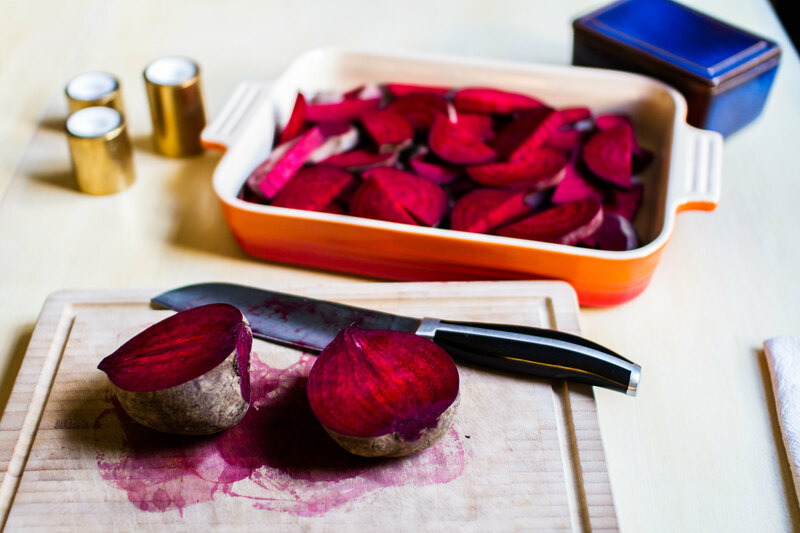 Start with slicing the red beets and place in an oven ramekin. Look how pretty the beets are! We never bother to peel the beets, it is perfectly fine to keep it on. In best case, we wash of the dirt but sometimes we don’t even do that. Cooking should be simple! 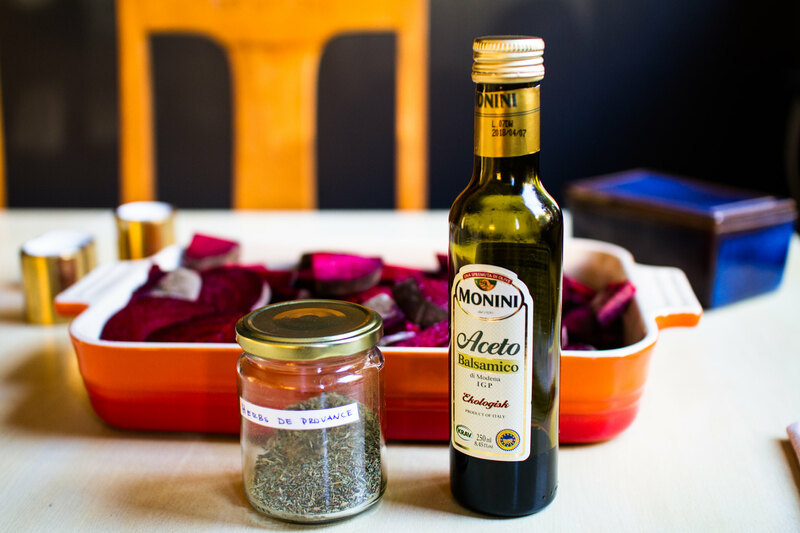 Top the beets with balsamic vinegar, herbs the provence, salt & pepper. Pour coconut oil over everything before placing it in the oven at ~250 °C. Taste buddies to red beets. When the beets are starting to get soft, after 30-45 minutes, it’s time to sprinkle some feta cheese over everything and let it go back into the oven for another 15 minutes. 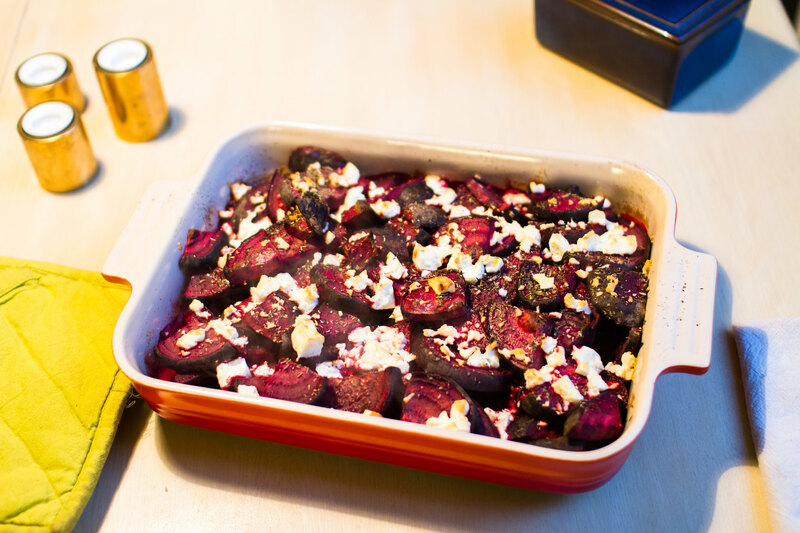 Red beets with feta cheese straight from the oven. 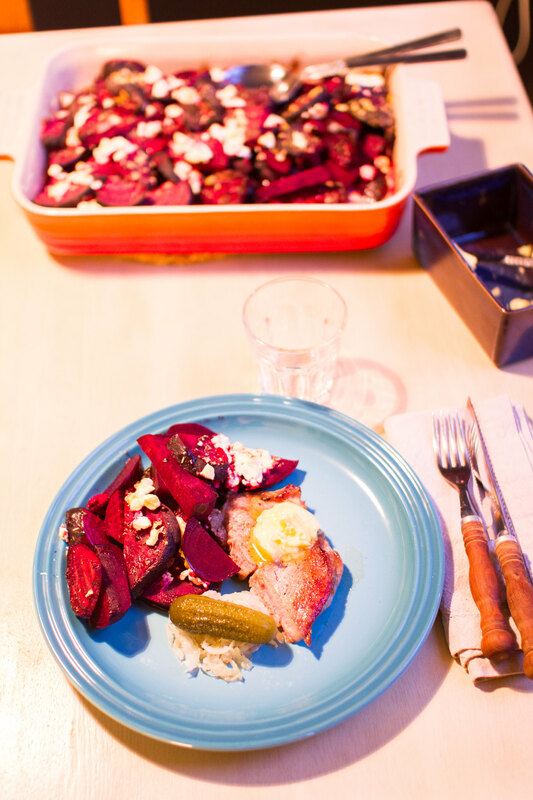 Meanwhile, I fried some pork chops in the cast iron pan to have with the beets. Some sauerkraut and soured mini cucumber was a nice addition to the plate as well. A simple weekday dinner!